Most property market professionals expect house prices to continue to increase - albeit at a slower pace than in recent years. But the number who expect prices to remain steady or decline over the next 12 months has increased. 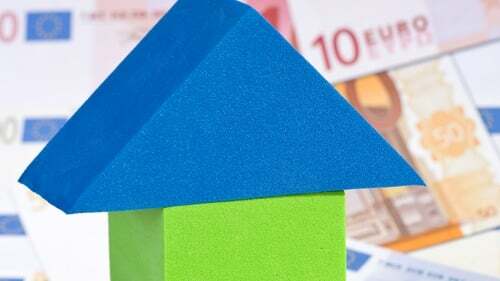 The latest Society of Chartered Surveyors Ireland/Central Bank of Ireland Housing Market Survey shows that 59% of estate agents expect house prices to increase nationally in the coming year, down from 78% in an earlier survey. The estate agents surveyed also expect national price inflation to be 2% for the coming year. This is down from predictions of 5% in the second quarter. They have also pencilled in growth of 5% over the next three years - down from 8%. This is the third survey in a row in which the predicted rate of price inflation has eased and factors - including the perception of value and Brexit - were the main drivers behind the anticipated changes. Estate agent and SCSI member John O'Sullivan said it was clear that affordability is now impacting house price inflation and as a result the rate of inflation is moderating. He said this was welcome news for the market and the general economy. "The main reason the rate of inflation is slowing is due to an increase in supply which is down to new developments coming on stream and the number of buy to lets being offered to the market as landlords continue to exit the rental market," Mr O'Sullivan said. The estate agent said the cost of accommodation whether as a purchaser or tenant is the single biggest challenge faced by those in areas of high demand. "While price inflation has waned for high value property it's likely that it will also slow for other property classes over the short term. That said the entry level, where demand is very high, is the most active and the least impacted," Mr O'Sullivan added.